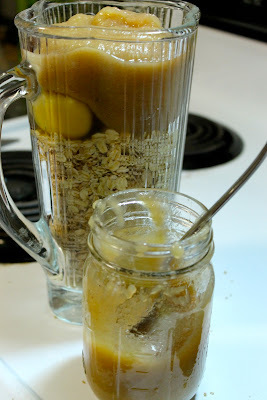 Bossy Italian Wife : From The Canning Vault: Applesauce! Applesauce seems pretty straight forward, right? But don't worry, I'm not serving it with a pork loin or anything because, let's face it, that would be predictable. My mom proclaimed, when we made this applesauce, that she would be using it for baking, and since it's her birthday today [HAPPY BIRTHDAY MOM!] we're going to do just that! I found THIS RECIPE on Pinterest and knew I wanted to try it right away. But it didn't call for applesauce. So I tweaked it a little bit and got a delicious, flour-free muffin that I am completely excited about!!! Preheat the oven to 400 degrees and get your ingredients ready! 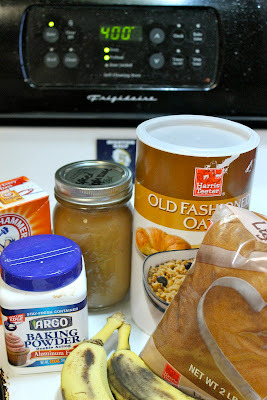 Applesauce, baking power, baking soda, eggs (not pictured), two bananas, old fashioned rolled oats, and brown sugar! I have learned my lesson on not using muffin cups! I used the foil ones and I read on the original recipe that paper ones are not a good idea with this recipe. So I felt like a winner, right out of the gate! One great thing about this recipe is that you can use your blender for it. 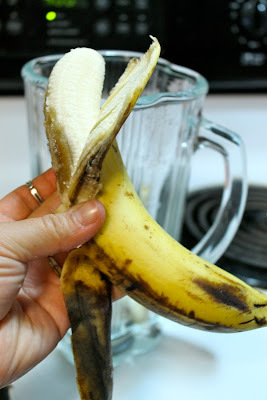 Which is exciting to me because I love my blender. 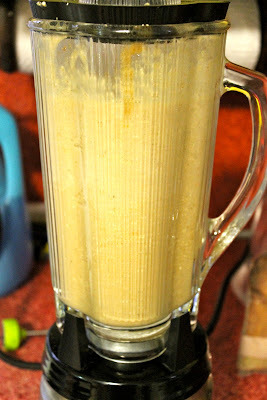 Read about my love for my blender by clicking here. 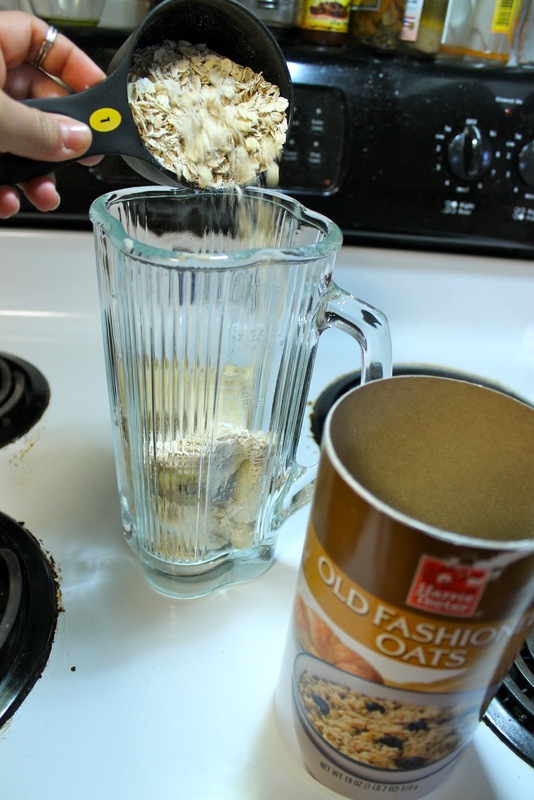 In the original recipe, it calls for 2 1/2 cups of old fashioned oats. I only had a cup and a half....but I just went with it. The muffins didn't rise as high because of it, but they were SO good. Brown sugar! I used this instead of white so that the muffins would be nice and moist! And a cup of homemade spiced applesauce! I had to stir the contents a little in the blending process, but in the end, all's well that blend's well. Then I filled my pans! I ate on these alllll week long. They were the perfect before work out breakfast for my spin classes, too! Place foil muffin cups in your muffin pans. Preheat oven to 400 degrees. Put ingredients in your blender. Pour batter into prepared muffin pans. Bake on 400 degrees for 20-25 minutes or until a toothpick inserted comes out clean!